Price and Flash. Two words that closed the deal with the Amazon Kindle Fire. When the Kindle Fire was announced in September and heard those two infamous words, I immediately preordered this 7 inch multi-touch tablet mobile device powered by a hybrid Amazon and Android OS. I immediately unboxed the Kindle Fire and plugged in the included AC adapter and charger to give the Fire some juice for my unending browsing. My first test was to go to an Adobe Flash video enabled website using the accelerated Amazon Silk web browser. Success. Flash videos played like a champ. 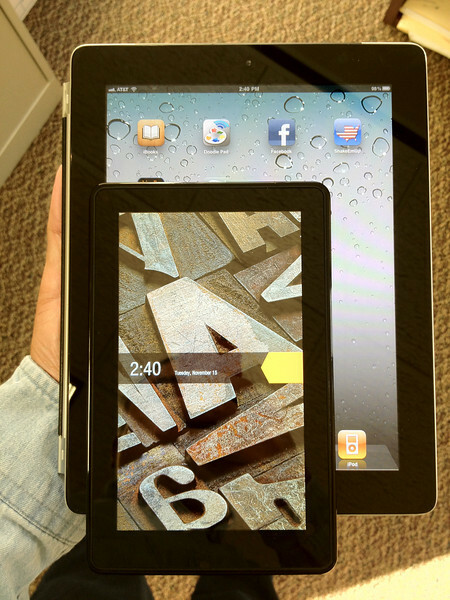 Dual core processing of the Kindle Fire and Amazon Silk's web browser worked fast and nimble. Quite impressed. The Apple iPad 2 starts at $500. The Amazon Kindle Fire is priced at $200. The price difference is pretty much a no brainer decision. Over half the price of an Apple iPad 2, the Kindle Fire is marketed to a much broader audience. Just like the success of the Apple App Store, Amazon is targeting the software app marketplace with the lure a low cost mobile device. It is working in my opinion. Games, popular apps like Facebook and Google Maps, Amazon Prime movies and the obvious Amazon "e-book" content just scratches the app surface. Of course, Amazon has a little work ahead of them to even compare themselves to the Apple App Store but patience is a virtue. 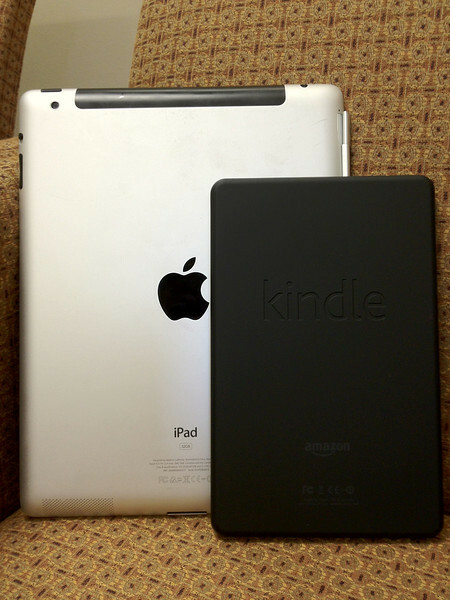 To Kindle or not to Kindle, that is the question in this crowded tablet market. I almost forgot to mention the micro usb port connectivity. The micro usb port is a data and charging receptacle at the bottom of the Kindle Fire. The only problem is I do not have a micro usb to usb adapter yet. So I cannot personally tell you if a flash drive will be recognized by the Kindle Fire. I am off to CompUSA and Newegg.com. The countdown is ticking away. My temporary Amazon Prime subscription expires in a month courtesy of new Amazon Kindle Fire owners. 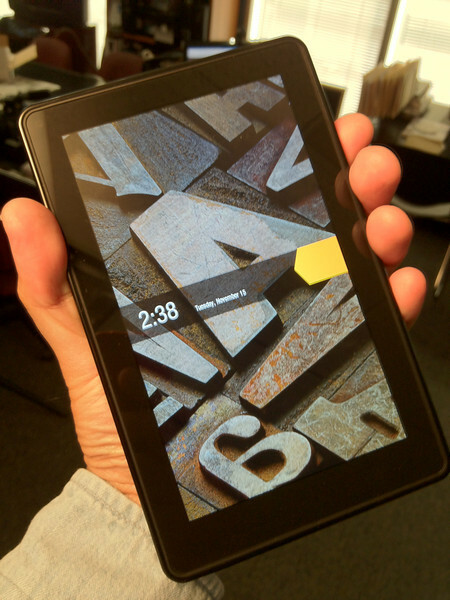 The lure of the Kindle Fire experience is overwhelming with value and function in my brief and practical review. 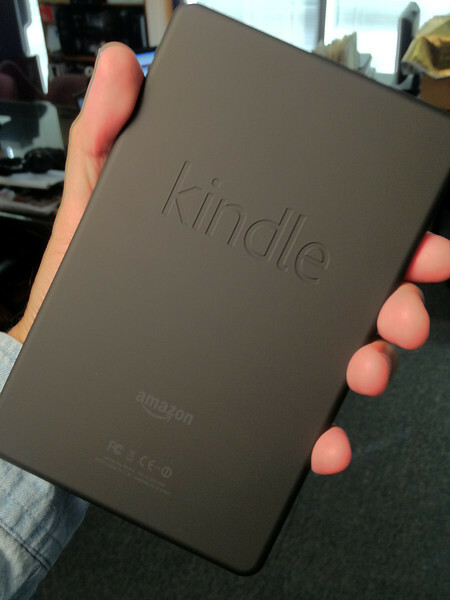 Amazon LLC is primed to take on Apple or may I say, the bully of the tablet and app playground with the Kindle Fire. Any plans of a video review? Can you use it to play your own videos on a SD card? I am still tinkering around with the Kindle Fire. I concluded this much in 6 days. The Kindle Fire does not recognize any type of external storage like thumb drives, pocket drives or any other flash memory. After some internet searching, I finally found a male micro usb to female USB connector to attach external flash drives. 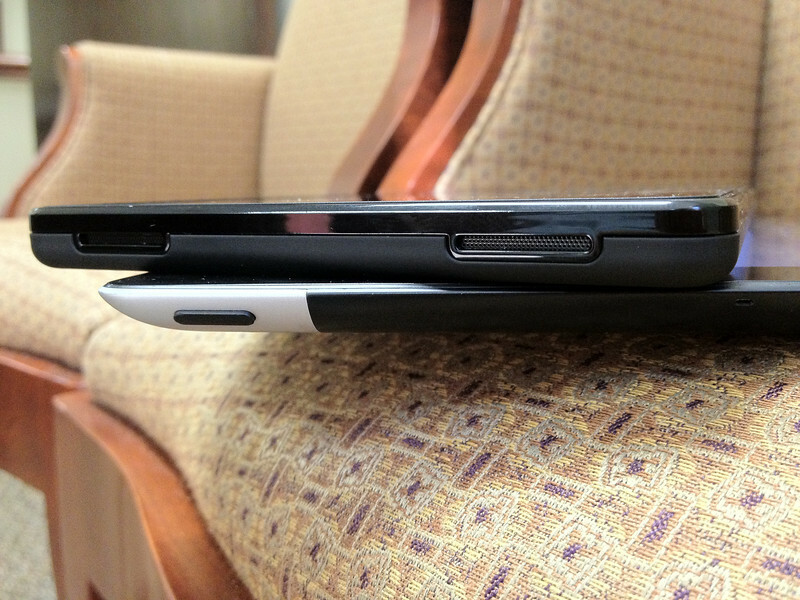 The Kindle Fire sees nothing when all the peripherals are connected. Bad news for people who want the Kindle Fire to be an external storage device or viewer of their multimedia. The only way to download MPEG4 videos and JPEGS to the Kindle Fire is to connect the device to a real computer. A PC or Mac will recognize the Kindle Fire as external storage or flash memory. At that point you can just drag and drop your files into the Kindle Fire folders. The pictures and videos will show up in the Gallery app for viewing. So, ultimately you cannot connect a digital camera like a Canon DSLR to a Kindle Fire for storage or viewing pictures. A Kindle Fire video review is not in my future, unfortunately.